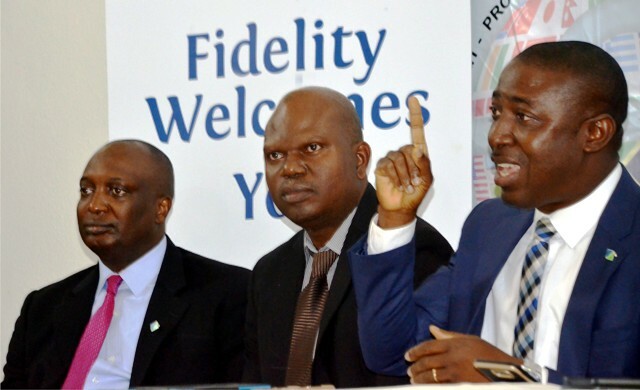 L-R: Wuse Branch Leader, Fidelity Bank Plc, Muhammad Dahiru, Head Facilitator, Empretec Nigeria Foundation, Ekpa Aniekan and Group Head of Specialised Small and Medium Enterprises, Fidelity Bank Plc, Ndubuisi Onuoha, during an entrepreneurial training workshop organised by the bank in Abuja, recently. The Trade exhibition of locally made goods organised by Manufacturers Association of Nigeria (MAN), Rivers/Bayelsa State branch holds in Port Harcourt tomorrow. According to the information made available to The Tide by MAN, indigenous companies in the country would showcase their products for business connection and transactions with other companies. The trade exhibition which will hold at Atrium event centre is expected to parade the talents of Nigerian producers and the quality of their products compared to their foreign counterparts. The chairman, planning committee, Mr. Ojo Akin-longe also noted that the state will play host to MAN’s 33rd Annual General Meeting (AGM). According to the information, the AGM would also hold a public lecture themed, “Beyond Recession: Positioning the Business for the Future”. The Special Guests of honour include, the executive governors of Rivers and Bayelsa States, Chief Nyesom Ezebunwo Wike and Chief Seriake Dickson. Akin-Longe informed that the general public are invited to the trade exhibition which offers them nationwide business opportunities.